If you are male and are coming to a site called MotherReader, you are truly enlightened or a close personal friend (or both). So, in honor of you, my first real post will be cross-gender books. No, you don't have to thank me personally. 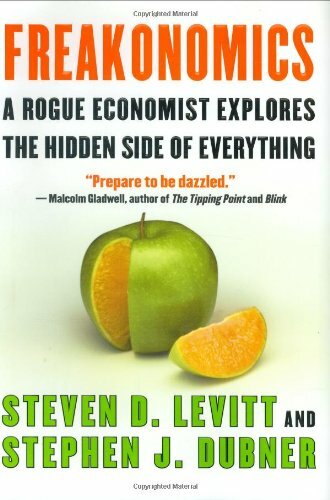 The best book I read last year was Freakonomics: A Rogue Economist Explores the Hidden Side of Everything. I plowed through this book in one sitting and immediately gave it to my husband, who plowed through it in two sittings. It is just that interesting and that easy to read. Now, I generally don’t read nonfiction books, because as I read them I find myself thinking that there is going to be a test at the end and I won’t have studied enough. But I didn’t have that feeling with this book. Steven Levitt is an economist/statistician with an interesting way of putting statistics together to discover new things in the world around us. Stephen Dubner is a writer who puts the statistics and concepts into a readable, almost storylike form. He teases you with a result or a concept and then pulls you through the statistics that make it work. In one chapter he asks us how teachers and sumo wrestlers are alike. I wanna know! Great book that deserves its rank as a bestseller. 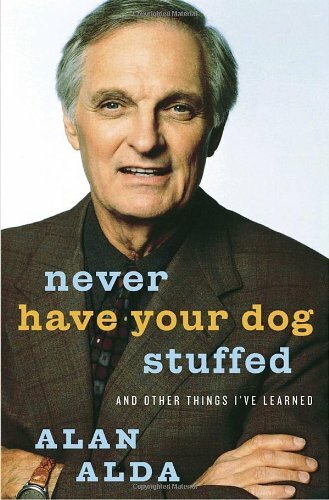 Also in the nonfiction family is Alan Alda’s autobiography Never Have Your Dog Stuffed. I loved M*A*S*H as a kid and remember sneaking out of bed to watch the show from the hallway while my parents had it on. Hawkeye fascinated me. As it turns out, and as I could have suspected, there is a lot of Alan Alda in that character. His sense of humor in this book is perfect as he takes us through his early years growing up in vaudeville up to his time as a star. You’ll learn something, but there won’t be a test. Are you ready for a little fiction? Let me point you to another deserved bestseller, The Kite Runner by Khaled Hosseni. I won’t lie: This book is harsh. Bad things happen. However, I felt that I got a real insight into life in Afghanistan and into the current American immigrant world. Things in this book will make you cringe, but you will want to keep reading. I would have dropped the last fifty pages or made them a little less on-the-nose, but it’s still a worthy read. Now, I have already gone off my type with all three of these books. Two nonfiction, two bestsellers, all about men by men. I’m going to have to change my introduction. Crap. Are these full-length books? You really ARE a speed reader. No fair! (Are you sure that the kitchen was tidy on that day?) I can't recall a time in my adult life when I read an entire book in one sitting. Of course, I might just have an attention deficit problem. Hey, what's this blog about again? I think this is a GREAT idea. 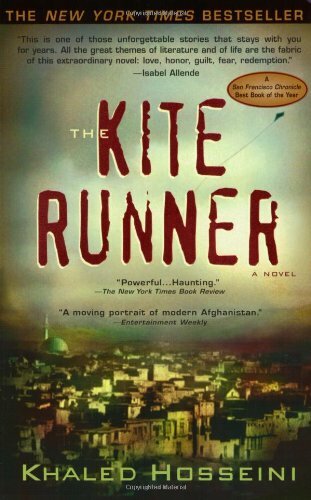 I just listened to Kite Runner on my iPod and thought it was an amazing book. Don't want to type too much, because I don't know if my log-in works. Hey, I guess my log-in does work, but my silly name is associated with the other blog I read: http://kistensparkles.blogspot.com .